Hiring ABA Therapists: The Other Side of the Interview - I Love ABA! 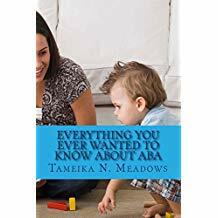 After my post about How to Interview ABA Therapists, I started receiving questions from ABA professionals about what they should be asking during an interview. For both parents and the therapists the interview process is a time to discuss details of the position, pay and benefits, expectations, qualifications and background, etc. Just as parents are responsible for making expectations clear during the interview process, therapists are responsible for evaluating these expectations and determining if they can meet them. This post is specifically for ABA professionals who work in the home with clients. There are basically two different roles an ABA therapist can inhabit: an Employee or an Independent Contractor. If you have a supervisor or work for a company you are an employee. If you work for yourself, you are independent. When I started in this field I was an independent. I worked directly for a family that privately hired a Consultant to train me and design treatment. That means the Consultant was not accessible for me; they were accessible for the family. I did not have the ability to reach out to the supervisor regularly to vent, to ask questions, to ask if a situation was unethical, etc. And I can tell you at times, it was really challenging to navigate staff-family issues on my own. Such as: getting up the nerve to ask for a raise, requesting more therapy materials, standing up for myself when my boundaries were crossed, and creating my own employment contract. There are pros and cons to being an employee or being a contractor/independent; it just depends on what works for you. Some therapists prefer working for themselves, and others like the advantages of being under a company. The interview/hiring process looks a little different depending on if you are an employee or an independent. Employees typically are given policies to adhere to; they don’t get to create them. So I will move straight to talking about independents. The most important part of the interview is finding out from the family exactly what the position entails. 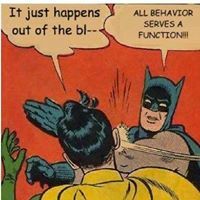 What are the hours, what is the pay rate, what are the job responsibilities, what expectations does the family have of you, what programs does the child have, how many therapists are on the team, is there a Lead therapist, who writes/creates the programs, who writes/creates the behavior interventions, what ABA methodology is the family using, how is training provided to you (if it is provided at all), etc. I suggest arriving to the interview with a list of questions to ask the family about the position. Directly after discussing the position, it is important to talk about policies. Think of policies as “The Rules”. You and the family together need to create policies that are satisfactory to both of you. Examples of important policies to discuss include: Sick days, vacation pay (if either you or the family go on vacation), cancelling sessions, pay raises, benefits, audio/video recording of sessions, mileage reimbursement, can you administer medications, etc. As awkward as it may be to discuss these issues with a family you may have just met, imagine how much more awkward it is to talk about overtime pay after you stay an extra 2 hours at the home one night. Take any anxiety or nervousness out of it and make sure to discuss these issues before you accept the position. I also suggest you get these policies in writing. The next area of importance includes several things which can all be lumped together under “Boundaries”. It is important, from day one, to establish clear boundaries with the family. It is unfair to work with a family for several months and then suddenly inform them you aren’t comfortable with something. If you know there are duties you are not willing to do make that clear from the beginning. That is what creating boundaries is all about. It tells the parents when something is outside of your comfort zone. If you are a new therapist you may not know what your boundaries are yet. Even if you don’t know what they are you can inform families during the hiring process that if something makes you feel uncomfortable/ is outside of your job description, you wont do it. A boundary of mine is I don’t babysit siblings while I am working with my client. I have had negative experiences in the past where a parent has left me home alone with all their children, and was it awkward to ask them not to do that? Yes! However, it isnt fair for my client to receive 10-15% of my attention and focus because I'm busy babysitting their siblings. If you are an employee, there isn’t really an interview process with your clients. You are assigned a caseload and you go out and start seeing clients. It can still be helpful to discuss with your company or supervisor what the policies are, get a full job description in writing, and discuss how clients are declined. Declining a client is basically when you decide for whatever reason that you no longer want to work with a family. Usually if you make the decision before you ever meet the family, it’s a very easy process to decline a client. However once you start working on the case some companies make it very difficult for you to be removed from it. The emphasis can be on what works best for the company, and not for you, the actual therapist. Changing a caseload is typically a decision made by your supervisor(s), not you. In addition to asking about these issues you should also find out how conflicts are handled. Conflict can come in the form of therapist/therapist, supervisor/therapist, or family/therapist. Whichever type of relationship the conflict occurs in, it can seriously affect your ability to do your job and decrease your job satisfaction. As a professional it is always your responsibility to try and repair any difficult relationships and resolve conflict on your own first. Sometimes that isn’t enough to defuse a negative situation, especially if your conflict is with a parent or therapist you see regularly. At that point, what is the protocol for handling conflict? Can you ask to be removed from a case, and if so, will you receive a replacement case? 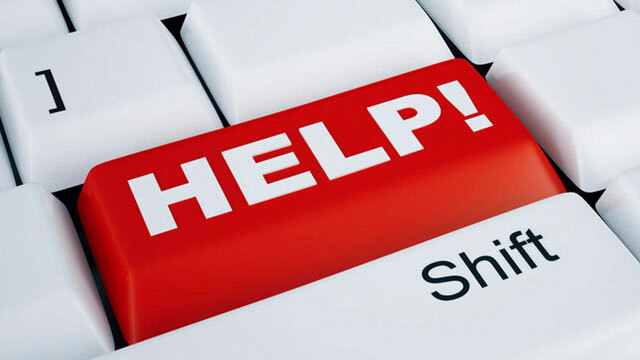 Can you request a different supervisor without being penalized? These are all important questions you need to ask. Whether you work independently for 1 family, or for a large company with a caseload of 10 clients, it is your responsibility to know the specific duties of your position, and all policies and regulations. The client-therapist relationship is only improved by open and ongoing communication from day one. thanks for this great info.I am a new RBT and Iwant to be how to become an idependent contractor. Do I need a license adide my RBT.